Dr. Reinpold is Head and Senior Consultant at the Hernia Centre Hamburg-Wilhelmsburg, which is a particular focus at the Wilhelmsburg Hospital Groß-Sand. 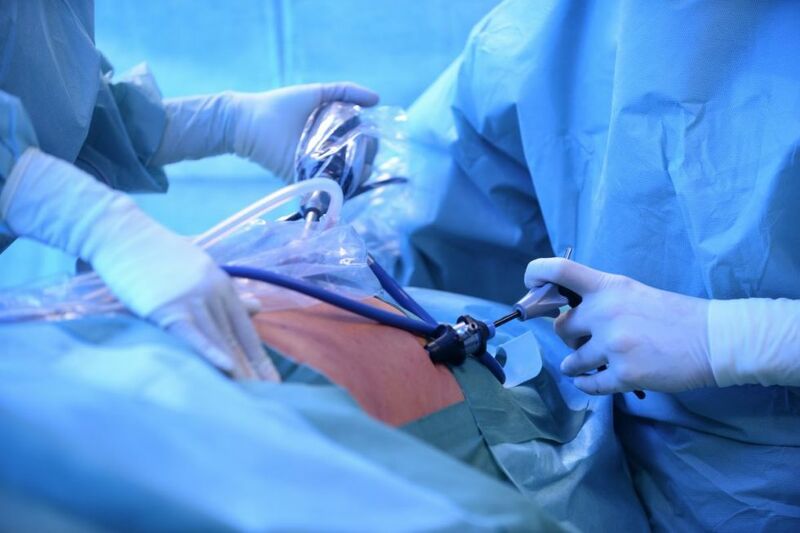 As an expert in hernia surgery in Hamburg Dr. Reinpold and his team can look back upon many years surgically treating patients with inguinal and abdominal wall hernias. 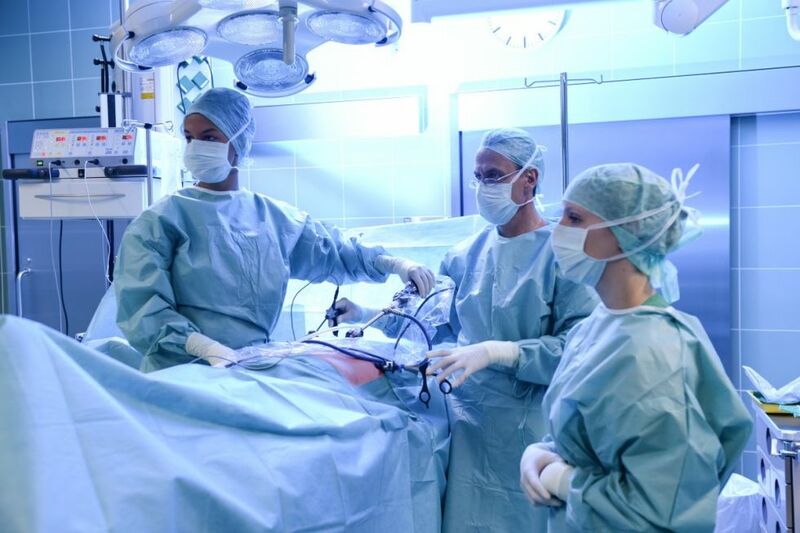 In addition to inguinal hernias, special treatment emphases of hernia surgery at the Wilhelmsburg Hospital Groß-Sand in Hamburg are also abdominal wall hernias, incisional hernias, umbilical hernias, hiatus hernias, fractured thighs and stoma hernias. 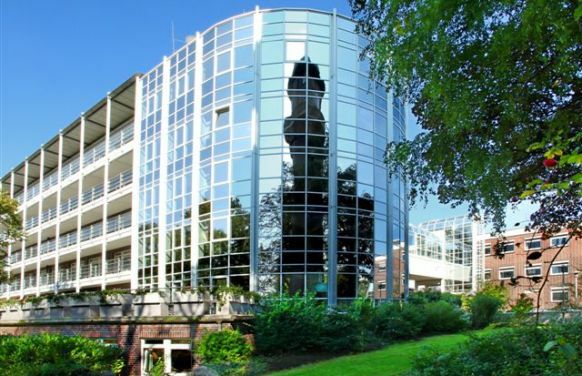 Worth highlighting and a speciality in Hamburg-Wilhelmsburg is the MILOS operation for incisional hernias, abdominal wall hernias and umbilical hernias. The surgical technique was developed by surgeons at Hamburg-Wilhelmsburg – and is a global first. MILOS stands for minimally open sublay and denotes an extremely successful minimally invasive method based on the use of plastic meshes outside the abdominal cavity. As the mesh here is not placed within the abdominal cavity as is usual, the sensitive area remains optimally protected thus avoiding complications like foreign body reactions or adhesions. 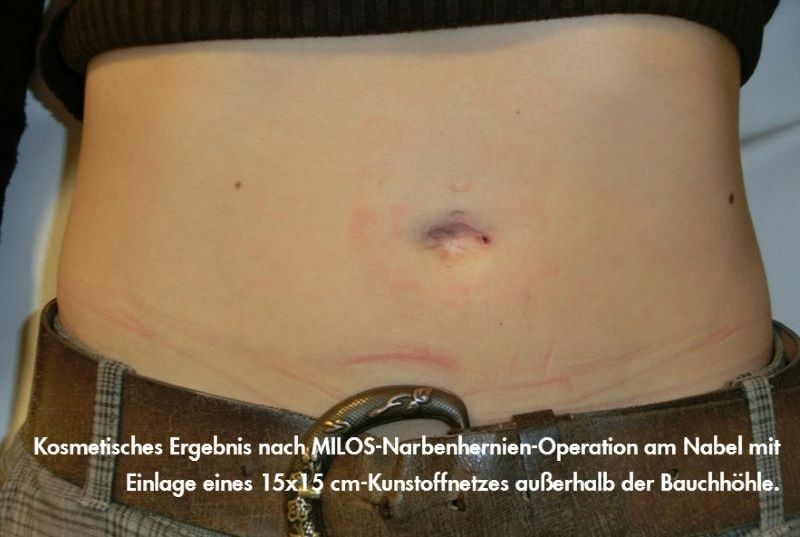 The MILOS operation is applied routinely due to the very good experience and outcomes with abdominal wall and incisional hernias in the Herniamed quality assurance study in Hamburg-Wilhelmsburg. A total of 1,500 MILOS operations have already been performed by Dr. Reinpold and his team. The Herniamed Registry certifies significantly fewer complications, acute and chronic pain following MILOS than with established procedures. Dr. Reinpold and his team in Hamburg rely on minimally invasive techniques for inguinal hernias, too. The latest implants play their part in the low complication rates and durable healing. After one, five and ten years the patients are re-examined in order to monitor healing success according to specific quality criteria. In order to mitigate the risk of recurrent hernias, Dr. Reinpold at the Wilhelmsburg Hospital Groß-Sand uses plastic meshes for inguinal hernias which set out to permanently close the hernial ring. The Hamburg Hernia Centre uses the TAPP and TEP operations, both special endoscopic techniques for inguinal hernias, whereas Dr. Reinpold prefers the TAPP operation. In patients with extended previous surgery in the abdomen or other contraindications for a laparoscopy the open procedure according to Liechtenstein (4 to 6cm inguinal incision) is favoured. In patients with anaesthesia risk, the inguinal hernia operation can be performed under a local anaesthetic. Very small inguinal hernias in younger patients can be treated with a suture without a plastic mesh inlay. 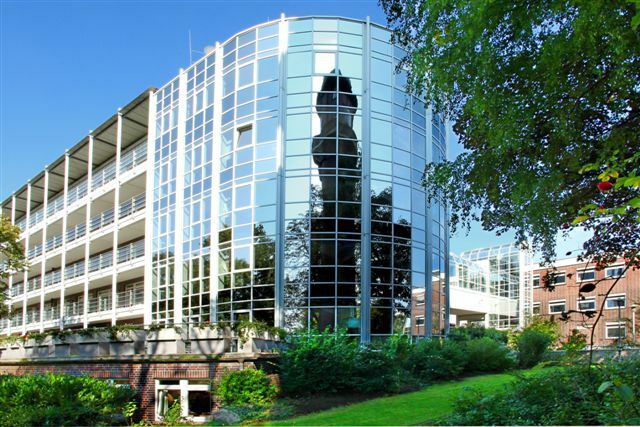 The Hernia Centre Hamburg-Wilhelmsburg at the Wilhelmsburg Hospital Groß-Sand is the largest specialised centre of its kind in Hamburg and is also the leader at a federal level in treating patients suffering from hernias. For example, Dr. Reinpold and his experienced team of hernia surgery specialists in Hamburg operate on over 1000 patients a year. 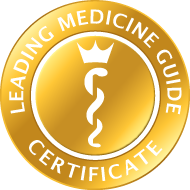 Apart from this extremely high number of operations, the excellent medical quality is also characterized by the very low complication rate and a rapid, atraumatic and durable healing of the hernia, which is also ultimately a token of the certification as a reference centre for hernia surgery. In addition, Dr. Reinpold was elected President of the German Hernia Association (DHG) in 2014. The priority in treatment of hernia surgery at Hamburg-Wilhelmsburg is the holistic patient care - from the initial briefing through to discharge. Patients' personal wishes are taken into account by Dr. Reinpold, for example, the anaesthesia type or choice of the surgical technique. In patients with anaesthesia risk, the experts at the Wilhelmsburg Hospital Groß-Sand prefer a local anaesthetic when they perform inguinal hernia surgery. The Hernia Centre Hamburg-Wilhelmsburg team regularly performs humanitarian hernia missions. On these trips - mainly to Latin American and African countries - hernia patients receive free assistance. Dr. Reinpold and his team last operated on 51 patients and a total of 56 hernias in East African Tanzania in the space of a week. 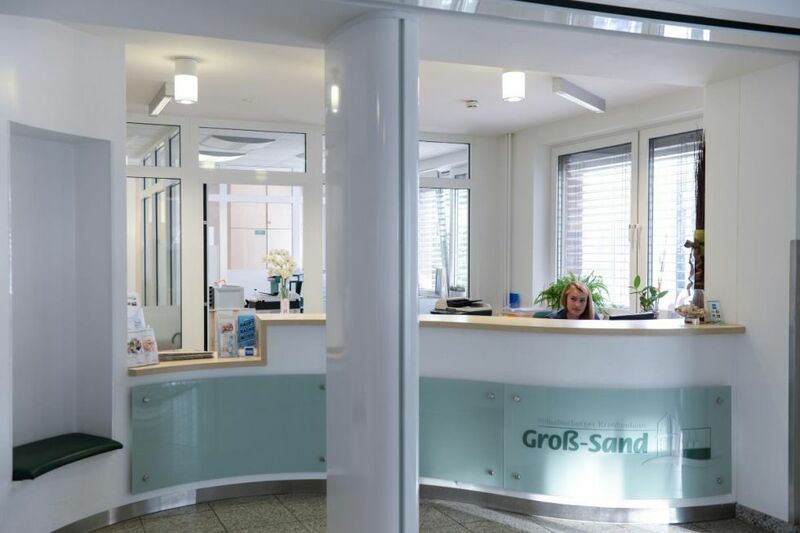 The expanded portfolio at the Wilhelmsburg Hospital Groß-Sand also includes general and abdominal surgery, accident surgery and vascular surgery.